To all you late-night crazy people, have a great time doing the New Year's countdown tonight! As for me, I will do my best to stay up until 10 pm. Apr 23 - 1 Year "Blogiversary"
Nov 20 - Met our midwife and had our first appointment. 1. God's timing isn't my timing. That is the main take-away that our TTC journey left me with. What I have planned for my life and what God has planned don't always line up, but His plan is always perfect. This year He has been teaching me many lessons in patience, seeking His direction first, and trusting that He knows exactly what I need. I don't always understand His ways, but you can't beat God's timing! 2. Half marathons are just as fun. Half marathons are fun. We like fun! I have a track record of making a decision first and then praying about it after the fact.This year God has been showing me that everything works out and I am less stressed when I ask for His guidance before I say yes to a commitment or make a decision. Pray first, then act! 4. Toddlers are fun little monsters. Since E entered toddlerhood, there has been a lot more attitude in our house and a lot more mess. I am really enjoying having a toddler because we can be active together (especially in the warm months) and he has so much personality! I love going for walks with him when he actually wants to hold my hand. Watching him explore the world and attempt his first conversations has been absolutely priceless. This concept contradicts our consumer culture, but it's the truth - giving is more fun than getting. After reading the books Enough by Will Davis Jr. and The Treasure Principle by Randy Alcorn, we have been looking at ways of living on less and giving more to bless others in the name of Jesus Christ. I want to continue this process into the new year (and the rest of our lives) of determining what we really "need" and how we can help those who are in need. 1. Pray specifically for our marriage and children. One of my resolutions for 2014 was to be a "prayer warrior" and I am happy to say that I have grown more disciplined in my prayer life! For the coming year, I want to focus on being consistent in praying over our marriage and our children. Hannah's Intentional Prayer Series is a great prayer resource that walks you through specific prayers each month. 2. Keep up a running and strength training routine. 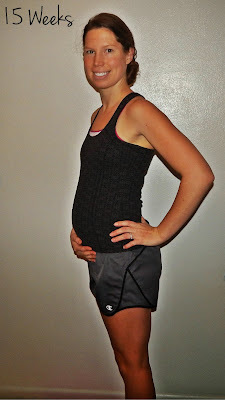 Throughout this pregnancy, I have been running a little less and strength training a little more compared to my first. Personally, I've found it works great for me! My goal is to continue running 4 days a week and strength training 2 days a week. 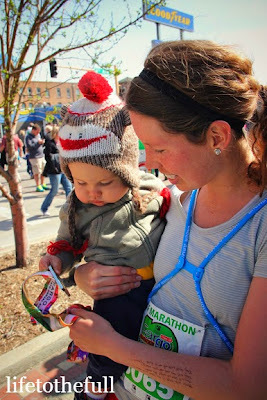 After Baby #2 arrives, I'm taking my time to recover and then will be on the lookout for marathon #7! Any full marathon suggestions in the Midwest? 3. Set clear boundaries for our family. As we continue to settle into this new hometown of ours, Leo and I are being intentional about not being involved in too many activities away from home. This culture puts such a value on "busy-ness" yet all it leads to is less time with family and a stressful, joyless life. No thank you! We are praying about what activities we choose to be involved in and being assertive in the decisions we make. 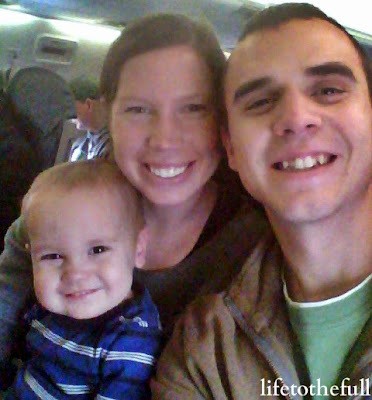 Our first flight as a family of 3! 4. Spend more time practicing piano. 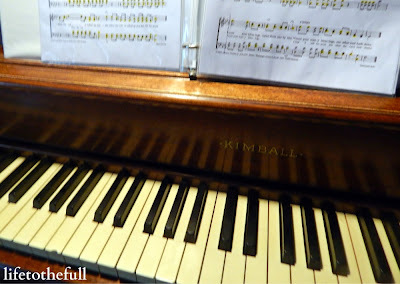 Our new church-home gave us a piano this summer and now I'm playing on the worship team once a month. I prayed a lot about being able to learn all of these hymns and piano is coming back to me pretty quickly! Leo's grandma told me she would practice piano for 6 hours a day, split into three 2-hour sessions, when she was younger - like waking up early just to play piano! 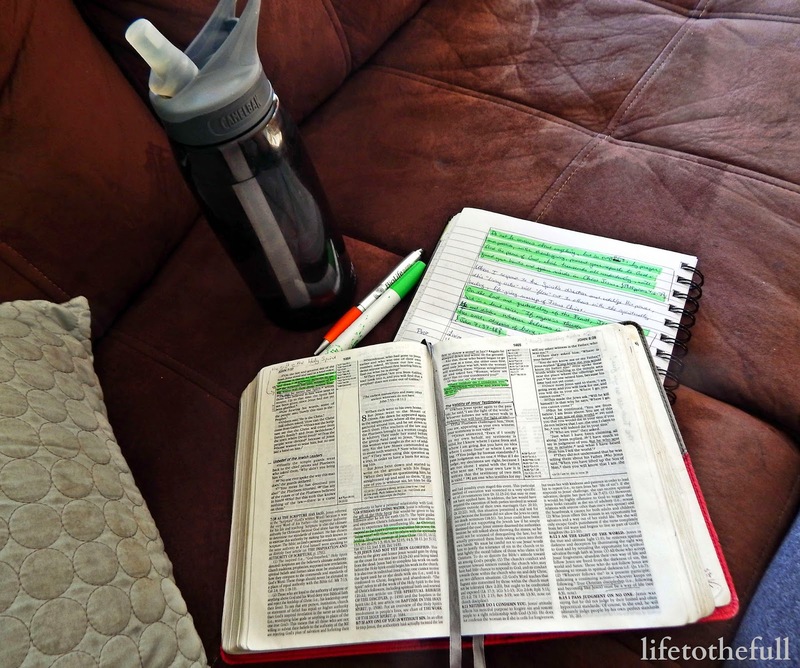 The only things I wake up early to do are my devotional time and running :) Maybe someday I will be that dedicated to piano... okay, probably not. Let's just shoot for practicing 30 minutes a day, if E and the new baby let me! 5. Schedule a regular date night with Leo. Since E was born, our "date nights" have been scarce and sporadic. Whether we plan an "at-home date" after E's bedtime or actually get a babysitter for the evening, we really need to intentionally make time to be together. Hopefully we can get a date night plan rolling before Baby #2 arrives! Do you write down resolutions for each year? 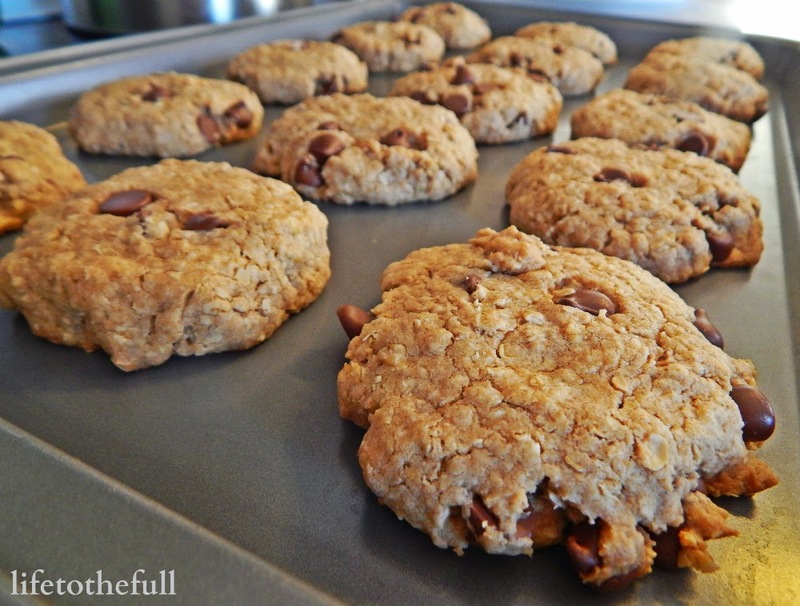 I'm linking up with Jessica & Jill at the Fit Dish for the first time! Join the weekly Fit Dish link-up on Tuesdays! 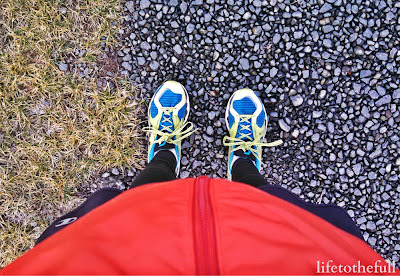 Also linking up with Fitness Friday. I am so glad to be home. Not in a car, not in a plane, just home. Our week-long trip to northern California started a bit rough when E came down with the flu the day before we left. On our way to the airport early Saturday morning, he threw up all over the carseat, himself and me. Despite our morning surprise, we did make it to the airport on time even after a wardrobe change and quick trip to Target! E generously shared his flu with me (pregnancy and the flu just don't mix!)... and then Leo, Grandma, and Grandpa got sick, too. This trip has been interesting and we have learned a few lessons along the way! #2 Lesson Learned: Always bring your running shoes in the carry-on bag. The airport lost my bag and our car seat for 3 days!? They seriously couldn't tell us where they ended up, yet Leo's bag did make it to the right place. Over those 36 hours, I missed my running shoes the most! We had a replacement car seat for the time being and who really needs makeup anyways. Now running shoes, you can't just replace those! After 36 hours, the airline found our stuff and we were able to pick it up. So glad to have my shoes and Boston coat back!!! 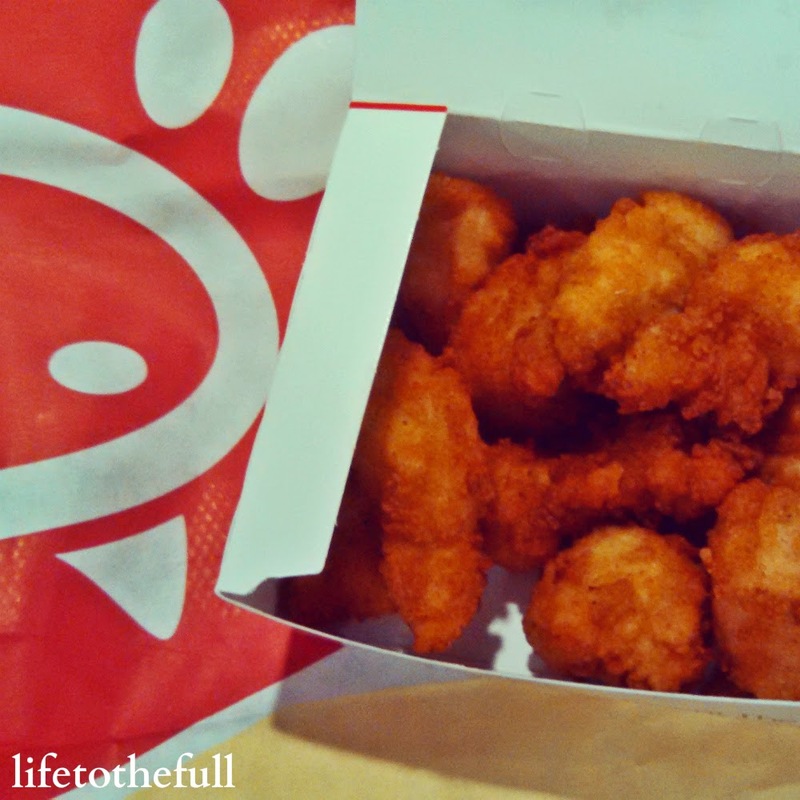 #3 Lesson Learned: Chick-fil-A is so good! I went to Chick-fil-A (the airport version) for the first time ever yesterday. The chicken nuggets were delicious, though I did get heartburn later... Pregnancy makes me very heartburn-prone. This place makes awesome chicken and they have godly values - win, win! #5 Lesson Learned: Spending Christmas with family makes all of the traveling drama worth it! Our time with family this week was truly priceless. E even met his Great Grandma and Grandpa, his aunt and a few other cousins for the first time! Plus he learned two new words: grandma (pronounced "dama") and grandpa (pronounced "gampa"). That definitely makes our trip worth it! We just got home at 1:30 that morning, so forgive my tiredness in this picture! Baby's Size: Onion, average fetus size: 5.1 in, 5.9 oz. Cravings: Breakfast food, especially eggs. Eating: Definite appetite increase this week. Maybe it doesn't help that it was Christmas and we had all kinds of good food around! I'm Feeling: Much better since having the flu on Saturday evening and Sunday. I feel like it is taking my body a while to recover. I could feel Baby's kicking this week, especially while we were traveling in the car and in the airplane! I was surprised at how much he/she moves around - sometimes in my lower belly and sometimes already up in my ribs. Sleep: Adjusting back to our time zone. I could use a lot more sleep! Weight: Up 7 lbs. from pre-pregnancy weight. My Prayer for Baby: "Lord, thank You for keeping us safe on our Christmas travels and for helping E to be so calm with all of these new experiences. Thank You for time with family and for the blessing of being able to travel. I pray that our family is an example in speech, conduct, love, faith and purity to all who we meet each day. Amen." Monday: Recovering from the flu. Car travel day. Tuesday: Played outside in the beautiful northern CA weather! Still recovering from flu. Wednesday: 3.07 miles outside with Leo, 9:17/mile. Got caught in an ice storm!? Thursday: 3.1 miles outside, 9:46/mile. 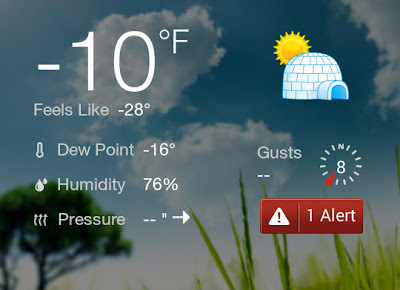 Beautiful, sunny and 30°F! Friday: Brief lower body strength training before another car travel day. Saturday: Lots of walking. Airplane travel day. Have you had the flu while traveling? Surprise, surprise. I've procrastinated packing most of this week and now Friday is here. This afternoon I am power-packing! The only plus about sick days: more cuddles! Keep Moving During Layovers - This is our active time to blow off the toddler's steam before sitting down on the flight again. During our 4 hour lay-over, we might as well do some jumping jacks, lunges and squats, too! I bet we'll even have time for a game of tag. Dress Comfy - I'm wearing semi-activewear for our big travel day so I can comfortably run around the airport with our son to blow off some of his energy and also sit/sleep on our longer flight. A sweatshirt and comfy jeans or pants are my ideal for travel. Pack Snacks - We are packing plenty of toddler snacks for E: PB & J sandwiches, goldfish and raisins. Leo and I will both bring our empty water bottles and probably steal some of the toddler snacks, too. And don't forget that sippy cup! Bring Entertainment - For E, I'm packing a Color Wonder book and markers, a couple reading books, a small ball and a toy tractor to keep us busy during the waiting. Before having a kid, Leo and I used our travel-waiting time to talk, read books or I would write but now it's all about keeping the toddler busy! Bring "The" Blanket - Never forget the toddler's blanket. Might as well just go back home if we forget that blanket! E wanted to show his belly, too! Baby's Size: Avocado, average fetus size: 4.5 in, 3.5 oz. Cravings: Bring on the Chinese food... and eggs. Aversions: Anything that's not related to Chinese food, eggs or oatmeal. Eating: Hungry, like most pregnant women. I'm Feeling: Really tired this week. We had our second baby appointment this week and it was wonderful to hear baby's heartbeat at a solid 160 bpm. I'm measuring 6 weeks ahead (21 weeks) right now and I'm antsy to have our ultrasound 4 weeks from now. Praying that everything is okay and maybe baby is just in a huge growth spurt! Sleep: The same. I'm up once a night to head to the restroom and E is up crying some nights lately. Weight: Up 7 lbs. from pre-pregnancy weight. Must be a growth spurt!? My Prayer for Baby: "Lord, thank You for the blessing of hearing Baby's heartbeat this week! I pray that everything is fine with Baby's growth and that You give me peace as we wait for our ultrasound appointment. Thank You for blessing us with our children and I pray for their future spouses; that they will love the Lord, be caring and respectful. Amen." Monday: 3 miles on the treadmill, 10:04/mile average. Feeling good but so tired. Friday: 3 miles on the treadmill, 10:01/mile watching "More Business of Being Born". Saturday: 3 miles on the treadmill, 10:00/mile average. Do you have any toddler travel tips to share?? 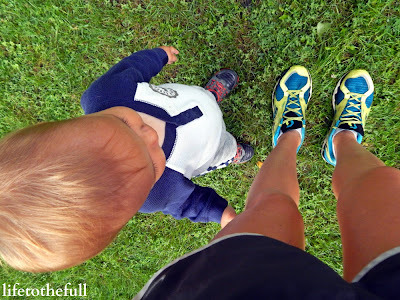 Linking up at Fitness Friday and Mommy Moments. 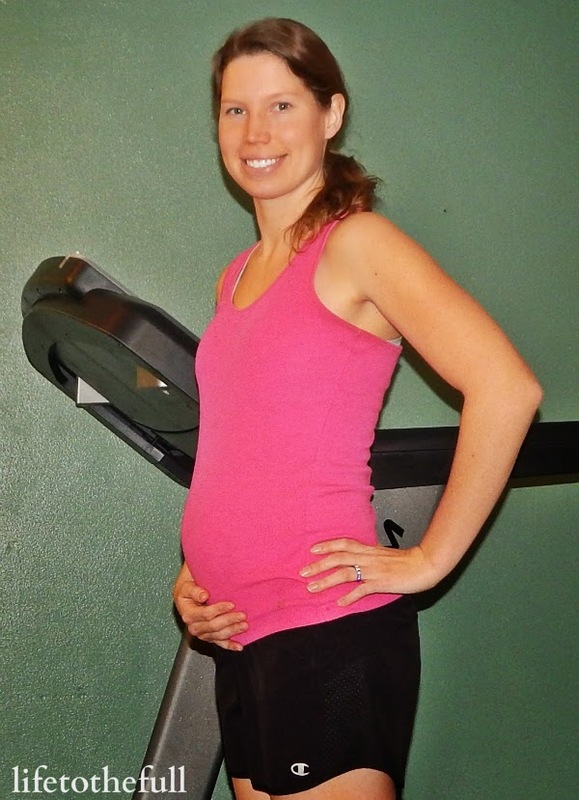 This week, we are talking with Laura for the second interview in my "Professional Fit Mom" series! 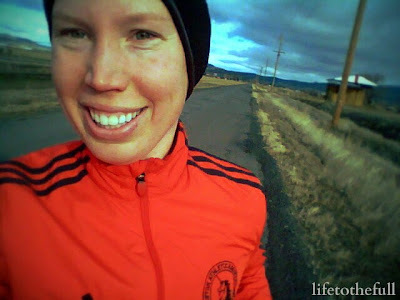 Laura is a mom of 2, holistic health coach, running coach and she also writes over at her blog, Mommy, Run Fast. Who or what inspired you to be a coach/trainer? A friend told me I would make a great health coach, and I started looking into options and got excited about the idea. I added a running coach certificate as well, as it's another passion of mine! How long have you been a coach/trainer? In April, it will be two years. What type of coaching/training do you do? In my health coaching practice, I work with women to help them meet their health goals, overcome cravings or emotional eating and often lose weight. For runners, I create individualized training plans and guide them through their training. What certification did it require to coach/train? I went through the Institute for Integrative Nutrition (I wrote a post on my experience here!) and did the RRCA running coach certificate program. How do you balance motherhood and coaching/training? I'm lucky to have a really supportive husband! He works from home 2-3 days a week and I plan any daytime coaching calls around his schedule so he can help with the baby. My 4 year old is in preschool. I also work a few evenings each week after they're in bed. But it doesn't feel like work... I really love what I do! What is your main goal when working with clients? I try to teach clients about natural health and the importance of real food. Quality makes such a difference - you can lose weight and feel full and satisfied! With my run clients, I want to help them reach their goals and cross the finish line healthy and strong. Where do you train clients? I have a home office where I'll meet with clients, and I also do a lot of phone and Skype coaching. Where would you like to see your practice in the future? When both girls are in school, I'd like to grow my practice to 20-30 hours per week. I love making my own hours and being my own boss! How did your passion for fitness begin? I've always been active and played sports, but in college I began running with friends and loved working toward a race and accomplishing a goal that I trained for! Running is still my favorite workout but now I can also appreciate a good strength training workout- push ups and mountain climbers are some of my favorite efficient moves. When do you fit in your time to exercise? It has to be first thing in the morning or it doesn't happen! I get it done before the baby is awake and before my husband begins work. What advice do you have for other moms who are considering becoming a coach/trainer? Follow your passion! If it's something you love, it will be worth it. I often find myself "working" evenings or weekends because I love it- it doesn't feel like work! But it definitely takes commitment and hard work to get your own business up and running. Be ready to put in lots of time up front getting yourself established and know that it will pay off later. 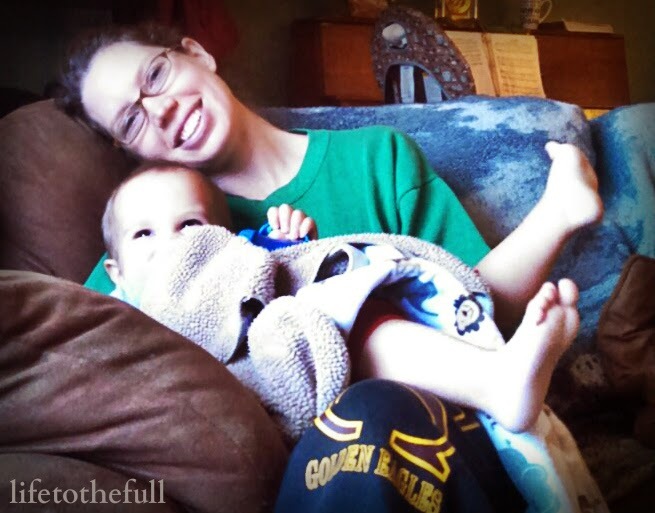 Thank you, Laura, for taking the time to share your motherhood and coaching experience with us! 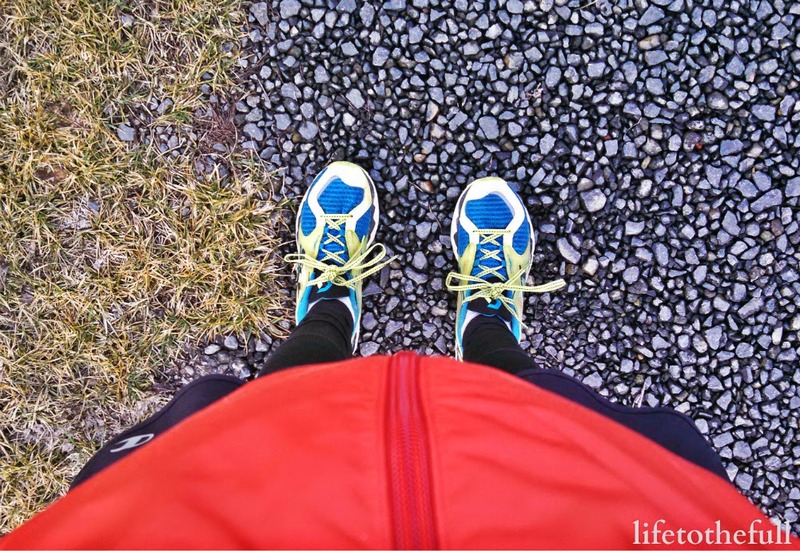 Linking up at Fitness Friday. Welcome to my "Professional Fit Mom" series and our very first interviewee! This series is a look into the lives of women who balance motherhood and being a professional in the fitness industry. My motives behind this were somewhat selfish, as I am interested in pursing coaching or training myself. There is no better way to learn than to ask the women who are already there and active in the fitness industry! I'm so excited to introduce you to Becky! 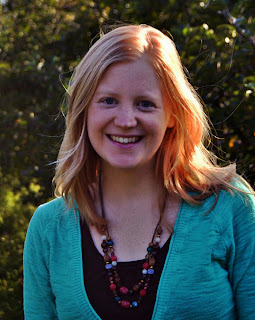 She is the creator of Shape Her, a Christ-follower, wife and mother. I've always enjoyed exercise. I'm kind of a junkie. I like all types - running (short distances), weights, bootcamp, kickboxing, yoga, pilates, swimming....you name it! I created Shape Her to help encourage, equip and motivate women in their faith, family and fitness. I want to help women make the connect between their faith and their health. Remembering our body is a temple of His Spirit as Believers. I want to help women receive the tools they need to fight Satan's lies and attacks against their self worth and identity. I want them to find their worth in Christ, not the mirror! I'm a Beachbody Coach, Online Consultant, online and in-person Trainer and currently studying to get my NCCPT Personal Training certification. With that, I'll do much more in-person training and local bootcamp classes as well. Nothing is required to be a Beachbody Coach. Anybody with a love for fitness can join the Beachbody team! All you need is a passion for helping others! My client load averages about 40 women in a month's time. Lately, it's been a bit more as God continues to grow Shape Her! Great question! And something I work VERY hard at daily. I'm a Mom first! I don't have a desire - at this point in life - to be a full time working mom. 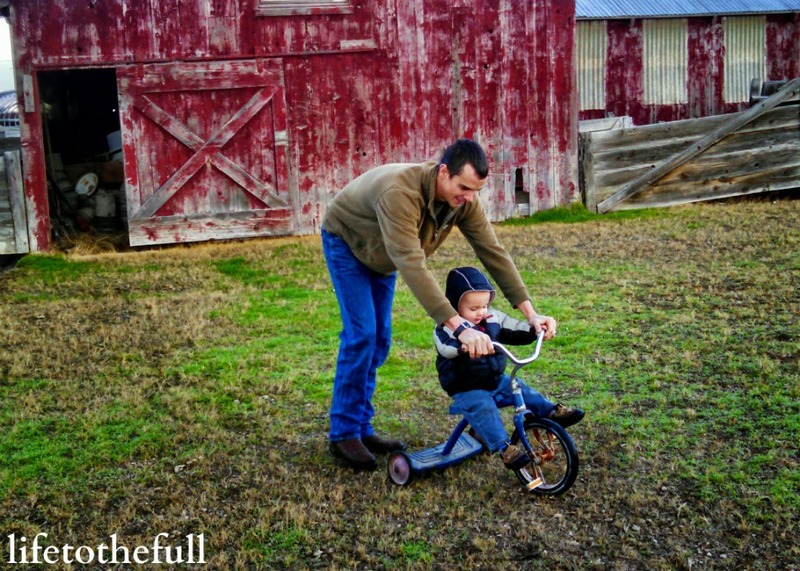 Outside of my relationship with the Lord, my priority is my family and I work each day to keep it that way. I get up early, before my son wakes up, to do my daily Bible study and time with the Lord. Once that's done, I'll do a little work if time allows. Then, I try really hard not touch my phone, email, anything work related until my son's afternoon nap time. Certain days are busier during nap times and I'm working the entire time. Others, I set an alarm for myself to work for 1-1.5 hours and that's it. After all, there's still laundry to fold, food to cook, dishes to wash and toilets to clean - all before my son wakes up! :) Plus, just a little "me" time!! At night, once my son is asleep, I usually hop on my social media sites to scroll through and see if there's anything pressing and make a few likes or comments. But I don't stay on there long. That's the time set aside for my husband and I to just relax with each other and watch our current Netflix obsession! I'm not perfect in this area, but I'm learning my boundaries and limits and working to set them up to make me the best Mom and Wife I can be! To help them find victory. Victory in their faith - finding their worth in Christ. Victory in their health - honoring Christ with their body and giving them the tools to do so! I do the majority of my training and coaching online. I've just recently started seeing clients in my home gym too. My prayer for Shape Her is to continue to give God ALL the glory. It's not about me. It's all about Him. If He wants Shape Her to bloom into this large ministry, then I'm all for it. If not, I'm all for that to. I want HIS WILL to be done in this. I continue to lay the future of Shape Her in God's hands, asking Him to guide me each step of the way. I just want Shape Her to help change people's lives and point them to a personal relationship with Jesus Christ. I started exercising in High School. It started as a way to "get a six pack". Then in College turned into a way to put some muscle and definition on my petite/boyish frame. As an adult it's become much more than that. I have hereditarily high cholesterol which I keep in check with my diet and exercise, so keeping myself healthy is priority #1. I also enjoy the way I feel when I'm healthy and I want to be the healthiest me I can be for all that God has in store for me, and for my family! First, I plan it out. I pick the days I'm working out and what I'll do on those days, early in the week. That way, there's no backing out or last minute decision making. I know what's on tap for the day and I go do it. When my son was younger and napping more during the day, I dedicated his first nap of the day to my workout. I'd workout in my garage. Now that he's older and napping once in the afternoon, we utilize a local gym with childcare in the mornings. Before I had my son, and I worked a full time job, I still planned it out. I took my gym bag with me and went straight to the gym after work on my planned days. My husband knew what those nights were and knew supper would be on the table, just not as quick as other nights. I'd even get some (less sweat intensive) workouts done during my lunch break! Pray about it. Ask the Lord what His plan for you and your family is. Talk to your husband. If God gives you the go ahead, and your hubby is on board, then DO IT! I've never regretted it one minute. You set your own pace, schedule and own it all so it's as intense or minimal as you want it to be. It's a fun way to make a little extra money since you're passionate about it. But by far, it's the most amazing thing to watch God use you in ways to impact others. People you might not even know! That's my favorite thing by far. Check me out on Instagram @shape_her to follow me! And contact me any time to chat about becoming a Beachbody Coach or becoming a client of mine! Thank you, Becky, for taking the time to share your experience with coaching and training! 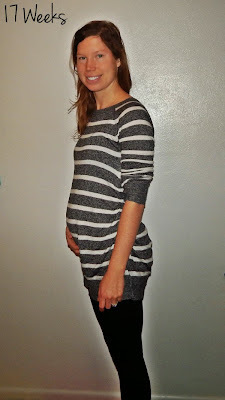 Second trimester, we have arrived! The bummer is that I've been sick most of the week with a sore throat, stuffed up head, headache + tired combo that just continues to linger over the days. This week I made homemade the easiest no-cook playdough ever for E and it actually turned out really well! E played with it for about 20 minutes straight and wanted to play with it again at lunch. 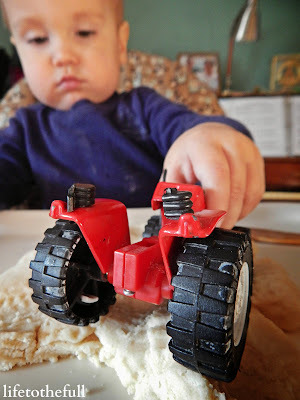 He drove his tractor all over his playdough and then wanted to thoroughly wash it with the dish scrubber afterwards (he wanted to wash tractors like daddy!). A toy tractor and homemade playdough brought nearly a solid hour of toddler entertainment! With this pregnancy, I have been very sensitive to smells and have been getting headaches a lot (being sick probably didn't help either). After contemplating for quite a while, Leo and I finally decided to try essential oils. They came in the mail this week and the oils have helped so much for my headaches! 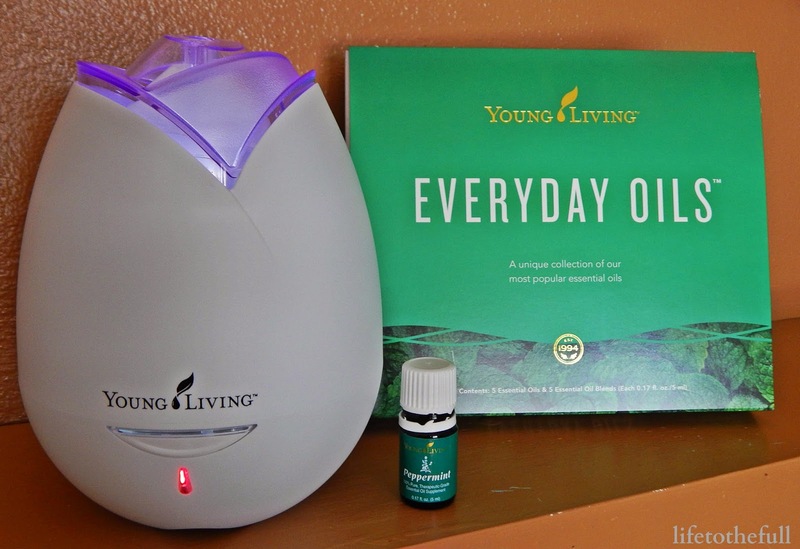 Peppermint in the diffuser was the most helpful for helping my cold and PanAway has been my favorite for topical use. I was skeptical about using essential oils but now I'm thankful we got them! The house smells good and my headaches are relieved without taking any medication. Cravings: I needed really really wanted General Tso's chicken this week. On Friday, we went on a Panda Buffet date with my brother, sister-in-law, brother-in-law, Leo and little man. 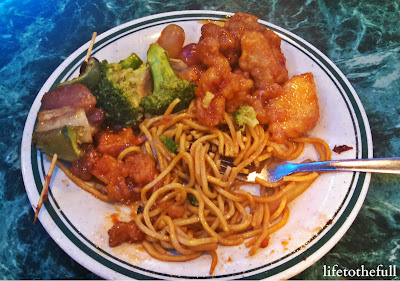 They had so many different kinds of chicken - General Tso's, pineapple, sesame. I definitely want to go back more often! Eating: Nothing new here. I'm hungry and smaller meals plus snacking throughout the day is what works. I'm Feeling: Exhausted. Being sick has left me feeling really worn down all week. Guess this is my body's way of saying "take it easy"! Sleep: I'm ready to pass out by 9:00 pm most nights and wake up for a bathroom trip at least once a night. I remember the whole bathroom-trip-thing starting a lot later with my first pregnancy. 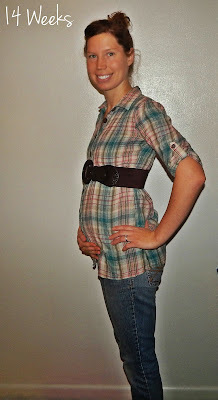 Physical Changes: Not much besides my growing belly and my not-so-great skin. My skin makes me feel like I'm a teenager again! Thank you, hormones. My Prayer for Baby: "Lord, thank You for bringing us into the second trimester and for the miracle of growing this Baby. I pray that our children will display the fruit of the Spirit in their lives and that Leo and I will be role models of this fruit. Thank You for all of the developments Baby and E are going through this week and for the time we have together as a family. Continue to be with our Baby as he or she is developing and with E as he is continuing to develop in toddler-hood. Thank You, God, for the gift of these children and for the honor of being a mother! Amen." Monday: Upper body strength training with dumbbells and a 5-minute lower body circuit. Tuesday: 3.1 miles on the treadmill, 9:40/mile average. Thursday: 3 miles on the treadmill, 10:00/mile average. Feeling pretty rough still. Saturday: 4 miles outside with Leo and the dog at 10:06/mile. Icy and cool, but nice to be out! 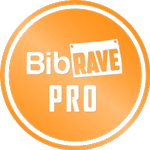 Hydration is probably one of the most popular topics I read about in the running world and it's popularity is well-earned. Drinking enough fluids is key to running well and, actually, staying alive! The average person will be able to survive only 3 to 5 days without water (source). Normal levels of dehydration will make a runner feel uncomfortable and cause them to slow down (source). Dehydration is even more dangerous in pregnancy because it can lead to serious complications including premature labor (source). How much water should you drink each day? There are a few different theories for how much water we should drink. For one, Runner's World shared the below formulas for calculating the water intake for moderately active males and females. That leaves me drinking about 40 oz. of water a day. Now the American Pregnancy Association that recommends drinking 8 to 12 glasses of water a day. With either perspective, that's a lot of water! I do my best to drag my water bottle with me everywhere as a reminder to drink water during the day - otherwise I seriously forget. A lot of water means a lot of trips to the bathroom... including in the middle of the night. 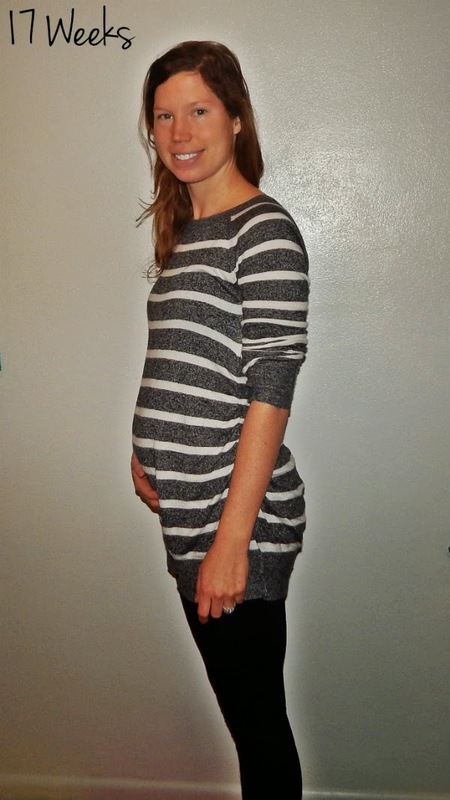 Those night-time bathroom trips didn't happen in my first pregnancy until the third trimester! Morning prayer time with my water and the Living Water! So what is my point of all this hydration babbling? Water is not just important for our bodies - it's essential. In John 7, Jesus refers to Himself as our source of water - that means He's essential to our lives! When we fill our souls up with Jesus, the Holy Spirit flows from our lives into the lives of those we are around. That means we can share the joy, peace, patience and love we receive from the Holy Spirit with other people. Every day we have a choice to drink from numerous different sources, but only One source satisfies our thirst for Living Water. We can try to fill ourselves with material things, people, ungodly TV shows or whatever it is that "feels right" at that moment. Problem is, they won't quench our thirst. They are all a cheap alternative and temporary solution to fill the thirst God created within us. God made us to thirst for a relationship with Himself, Jesus and the Holy Spirit! As I was sipping on water during my prayer time this morning, I was thinking about the cheap alternatives in this world. 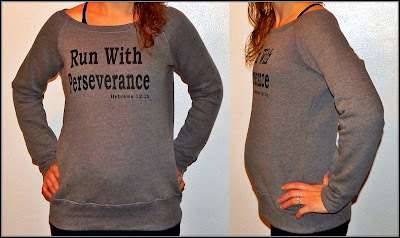 After my time with God, I hit the treadmill for some slow pregnant-lady-running and, even though I only run for 30 minutes these days, I sip my water throughout the run. Pregnancy makes me super thirsty! What if, instead of drinking water on my run, I drank coffee? Attempting to fill my soul with material things is like drinking that cup of coffee on my morning 3-miler. Filling an emotional void with food is like drinking eggnog during a marathon. Putting my worth in what others think of me is like drinking soy sauce in a 5k. Those alternatives go down, but they come with consequences and will not satisfy my thirst. Nothing else will fill me with life. Everything is a cheap alternative compared to Jesus - our Living Water. Filling ourselves with Jesus means spending time with God each day and believing in Him. It means reading the Scriptures and keeping it on our hearts. Being filled with Jesus means sharing the love of Christ with others because it is overflowing from our own souls. How much water do you drink in a day? Have specific goals? How do you fill your soul during the day? Linking up at Mommy Moments and Fitness Friday.